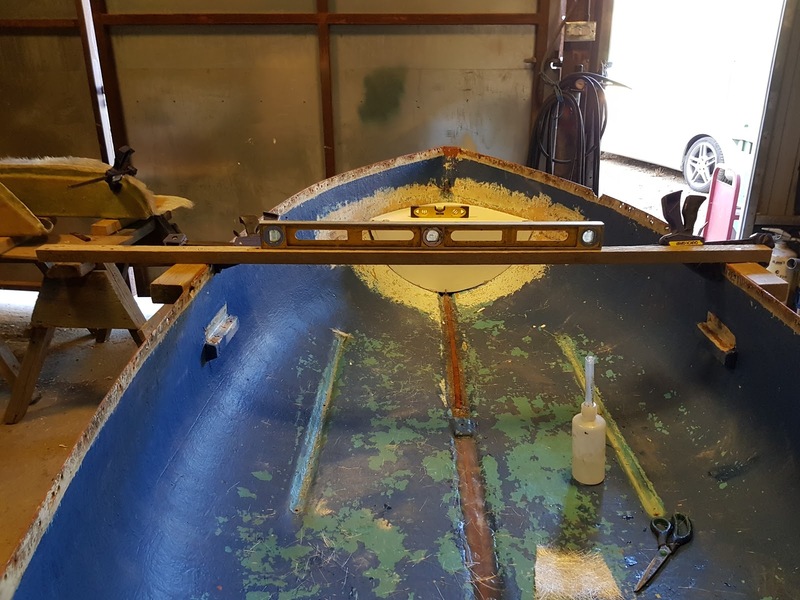 Ensuring the dinghy stays level while glassing in the bow and aft seats. 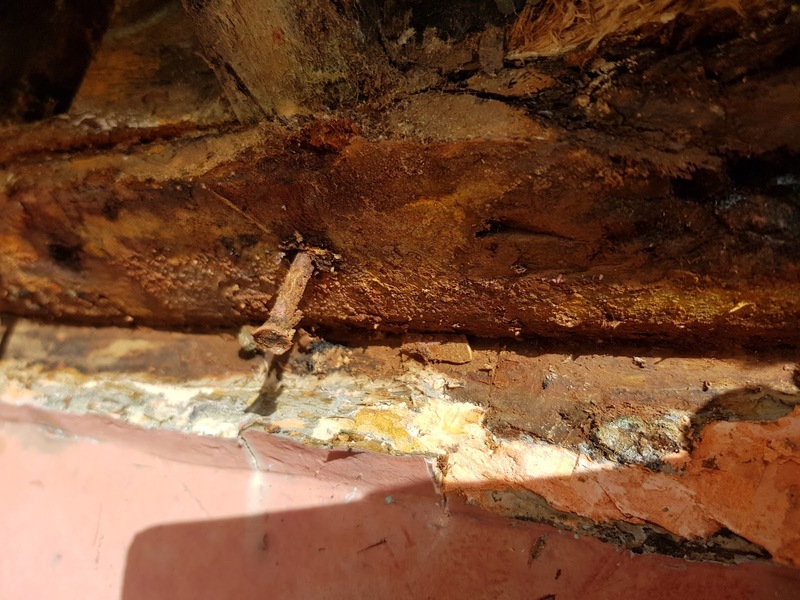 The aft bolt still in postion and the copper nails still inposition as these have been nailed and roved in position so they can not be removed without cutting them out. 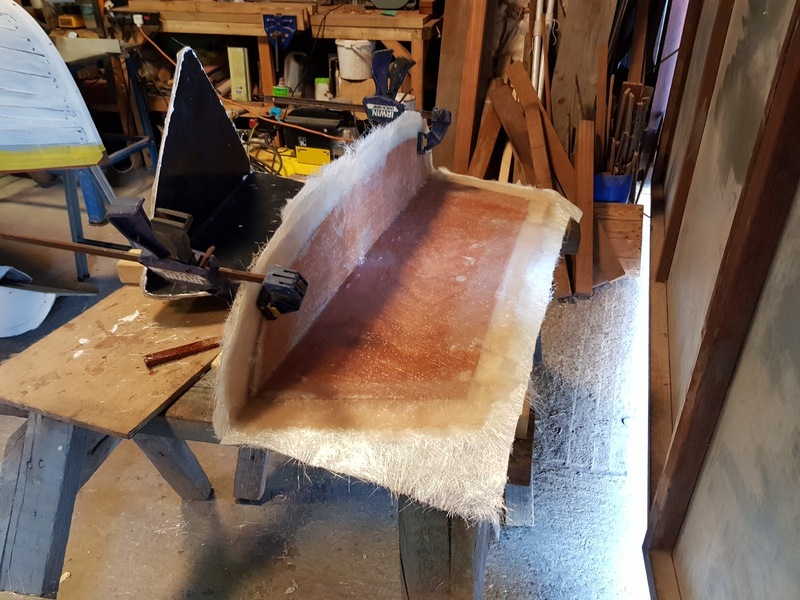 The transom sanded down to make it flat and smooth. 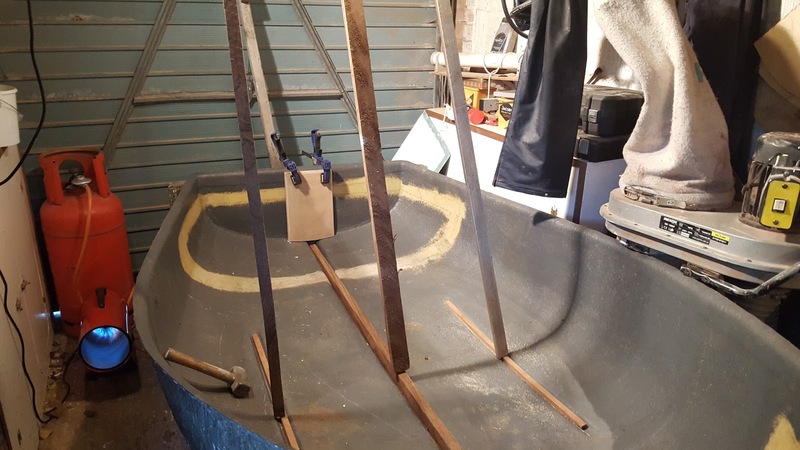 Making and shaping the outboard pad and reinforcement battens and centre keel reinforcement batten. 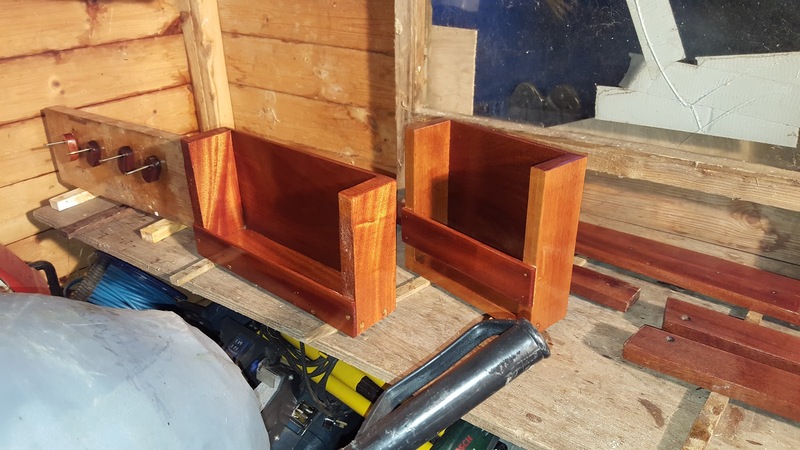 Finished varnish work put in to storage for the winter so that the varnish can get a chance to harden off over the winter before getting their final coats in the spring when they are refitted to their various boats. 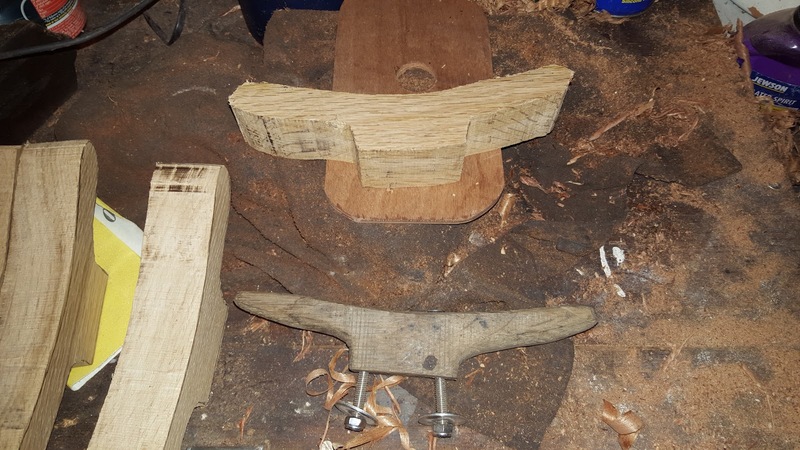 New oak cleats made from a pattern of an old cleat that a client had on his yacht and that he needed replacement cleats made from to match the ones on the yacht. 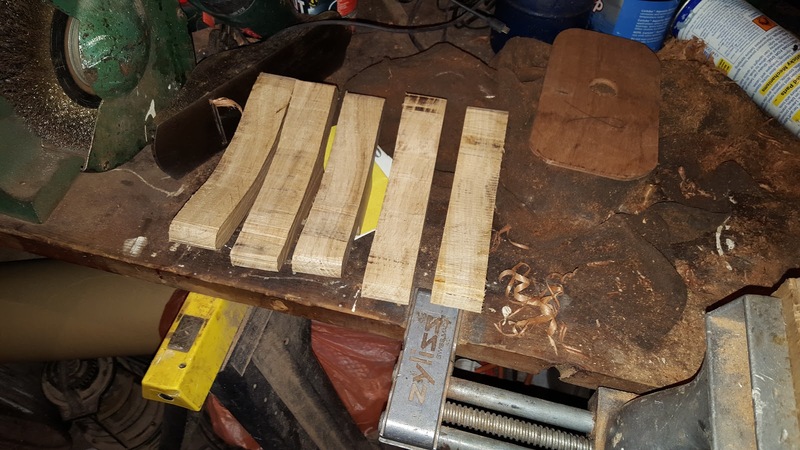 Five new oak cleat blanks cut and now ready to shape to size. 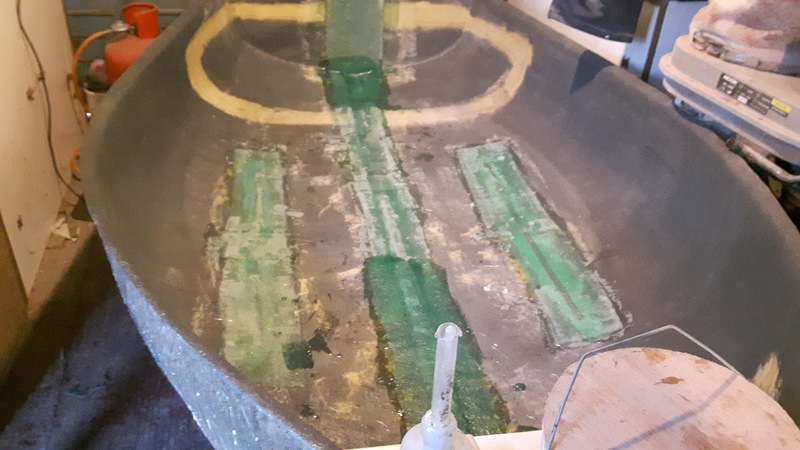 Just the foredeck to go on after the bulkhead is glassed in place. 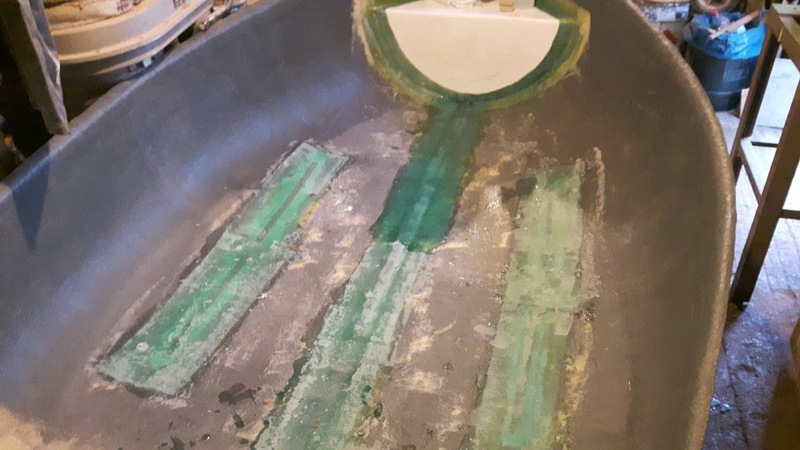 The work on the Enterprise is coming along well with just the front bulkhead to get glassed in place and then the fore deck can get glued down. Then the long job of trimming the edges of the deck up to do. 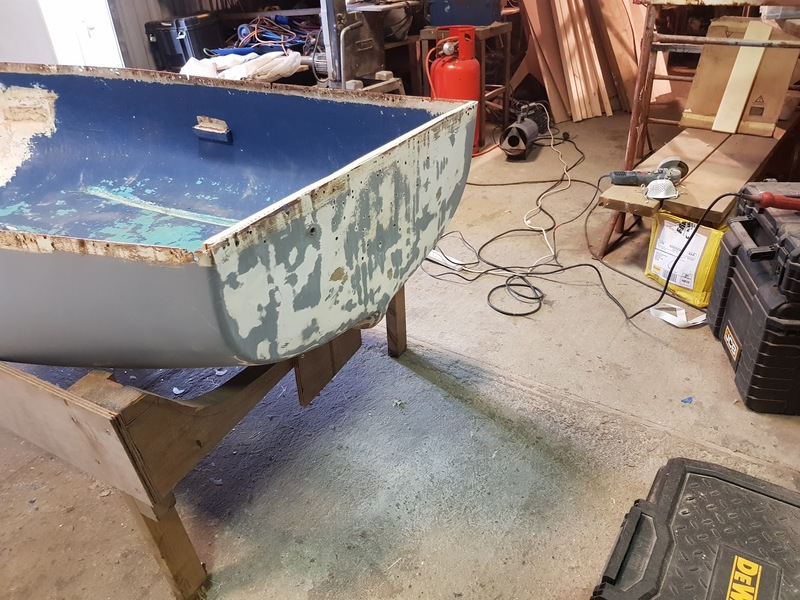 Once this is done the equally long job of varnishing and paint the boat will start. 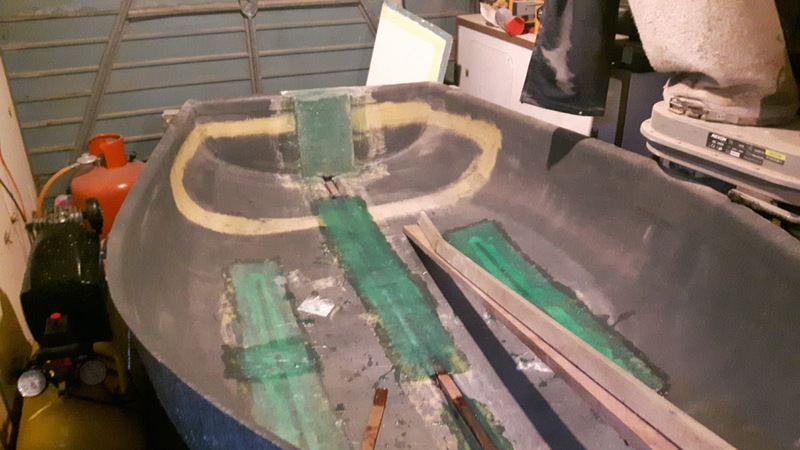 Then finally the fitting can go back on and the boat will then be ready to go back float and I can go for a good long sail. 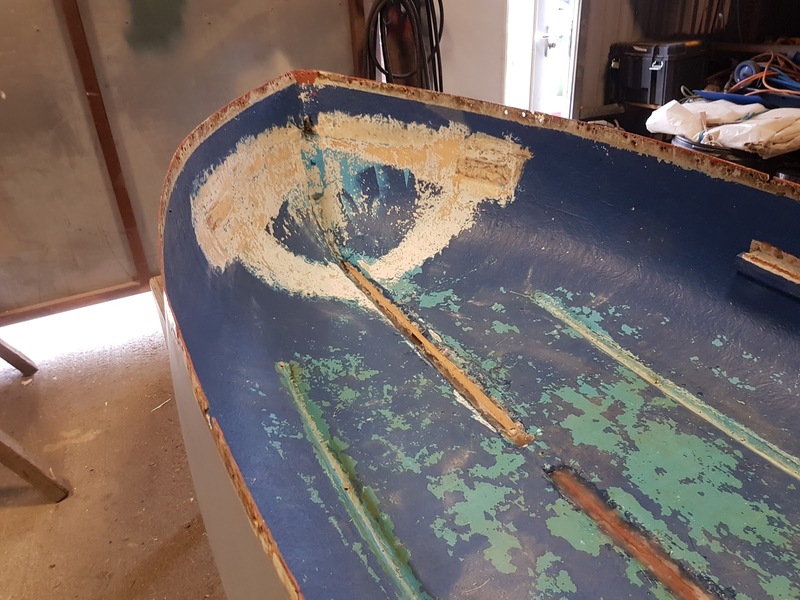 The main hurdle in refitting an old classic yacht is sorting how it was put together in the first place. 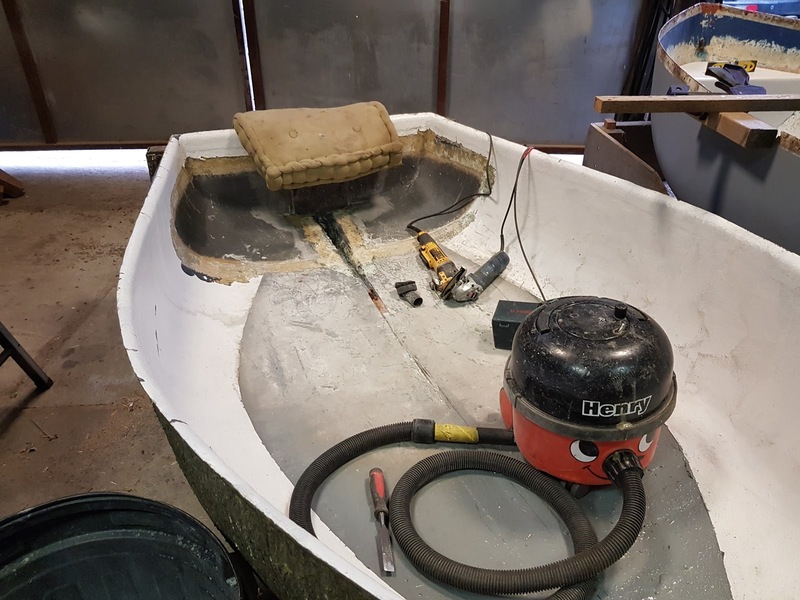 When refitting or restorating old classic yachts the main hurdle is getting into the mindset of the person or people who build your classic yacht in the first place. Especially the tools and methods they employed to construct it. With Mai-Star II or as she was called when she was first launched in 1946 Gadfly II, having been started to be built in 1939. 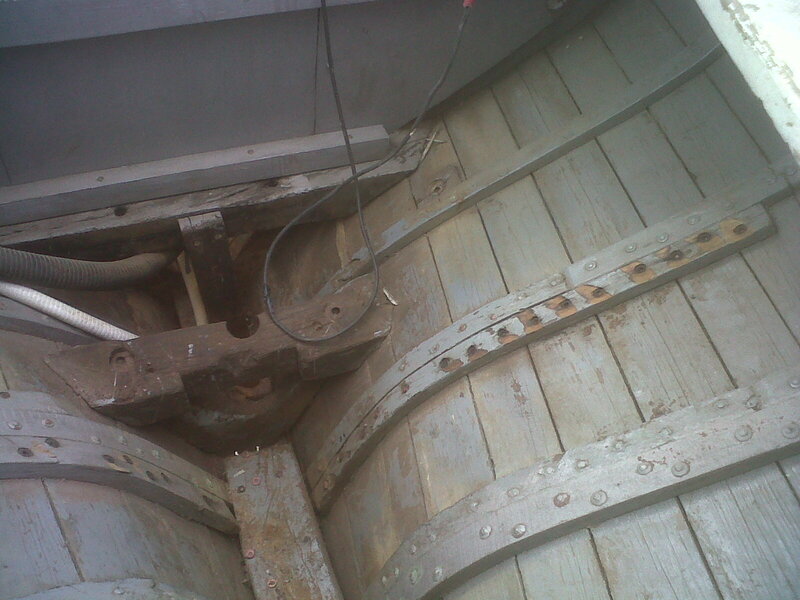 Then she was put to one side during the hostiles and once work on boat got back into full swing she was finished off. 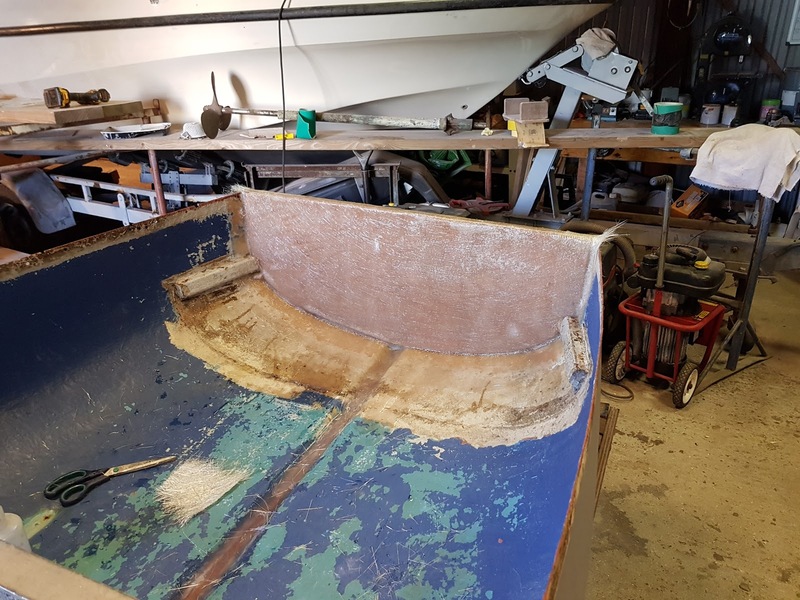 Trying to trace her history has been a bit of a minefield as many of the records from the boatyard where she was build have either been lost or destoryed at a fire at the boatyard or burned when the boatyard was closed. 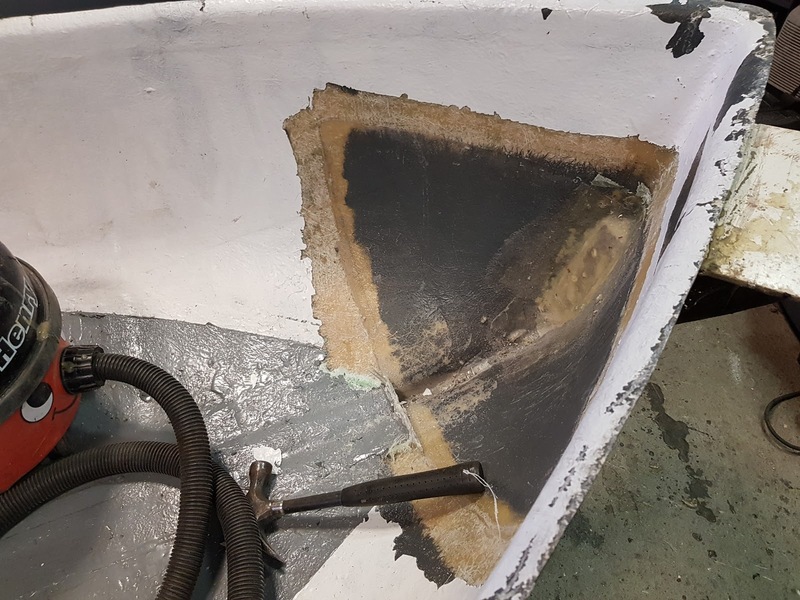 Either way I have been able to patch much of it from fromer owners or boatyard staff that are still a live today. 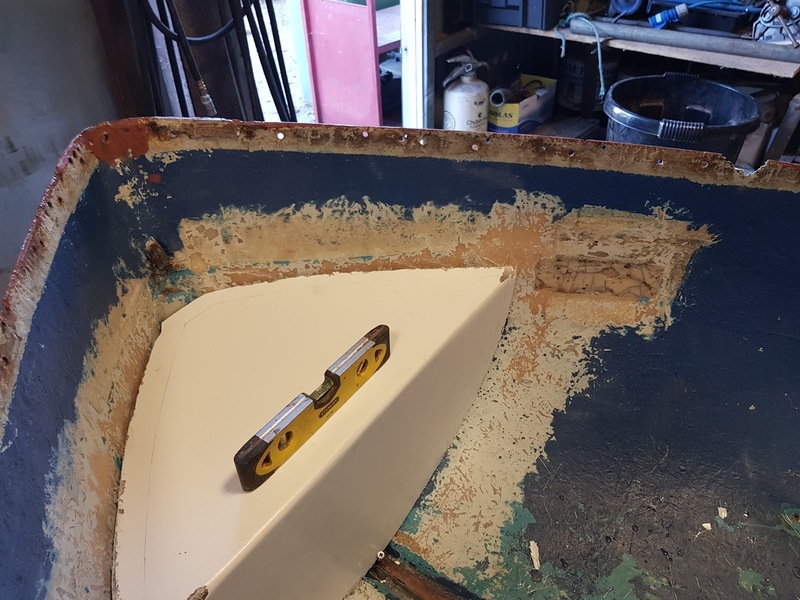 This winter the second major refit is taking place with the removing of a large number of ribs on the port side from midships to the transom and a few from the starboard side in the cockpit where a number of them were doubled or even had three ribs set side by side. 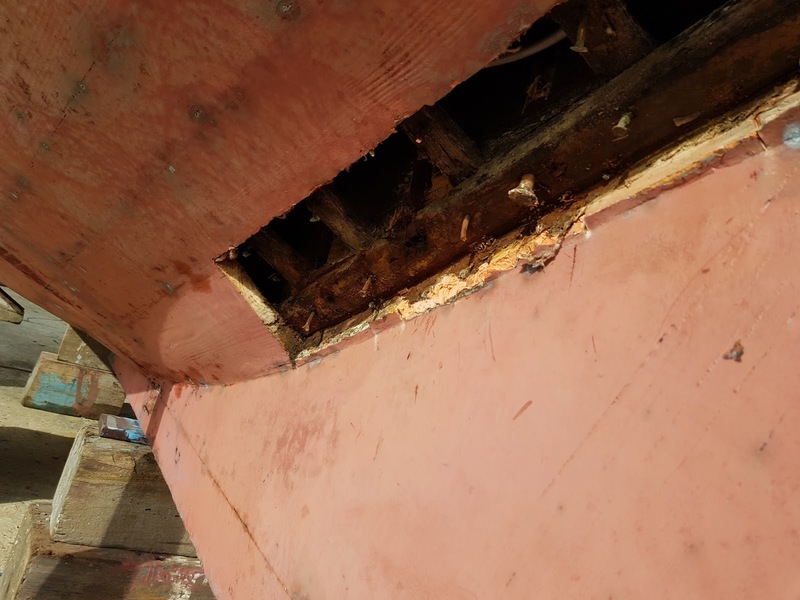 Also there are a couple of planks that need replacing as these are damaged. 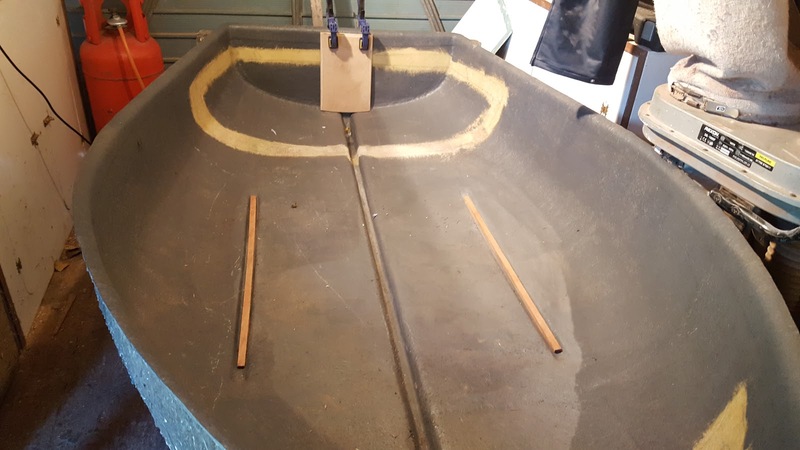 Now the log is here I can get on with the planking and get her watertight and now the ribs can get put in too. 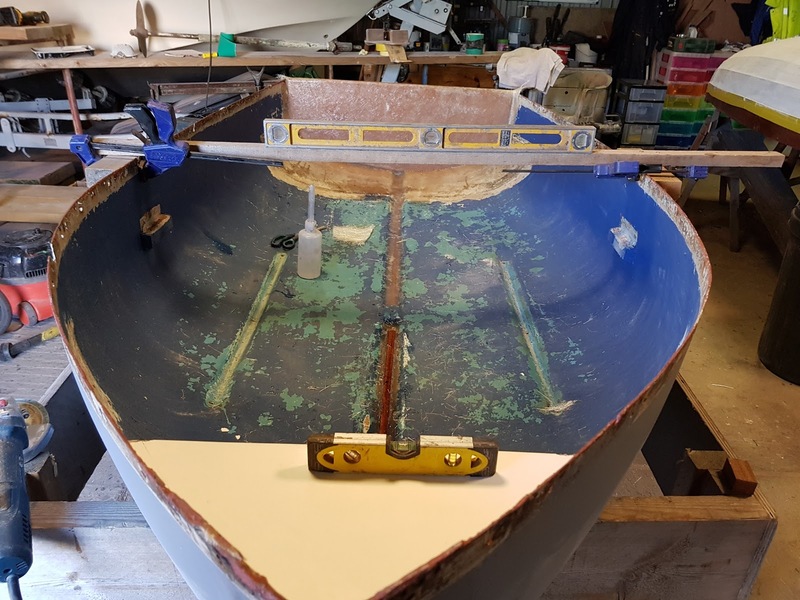 now that the log has been delivered and there is a few dry days the mai- star II can get her new planking marked out of the log and can start to get her planking back in place. Mai-Star ongoing restoration this year with new cabin sides & roof. 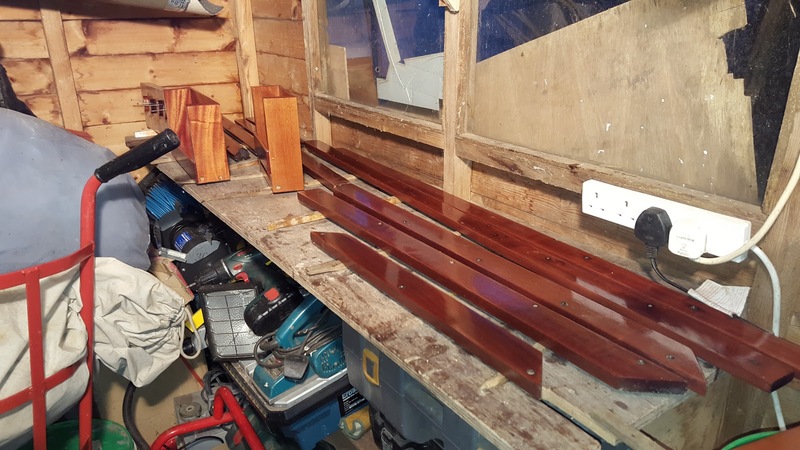 This year it is the turn of the cabin sides and roof to get sorted out. 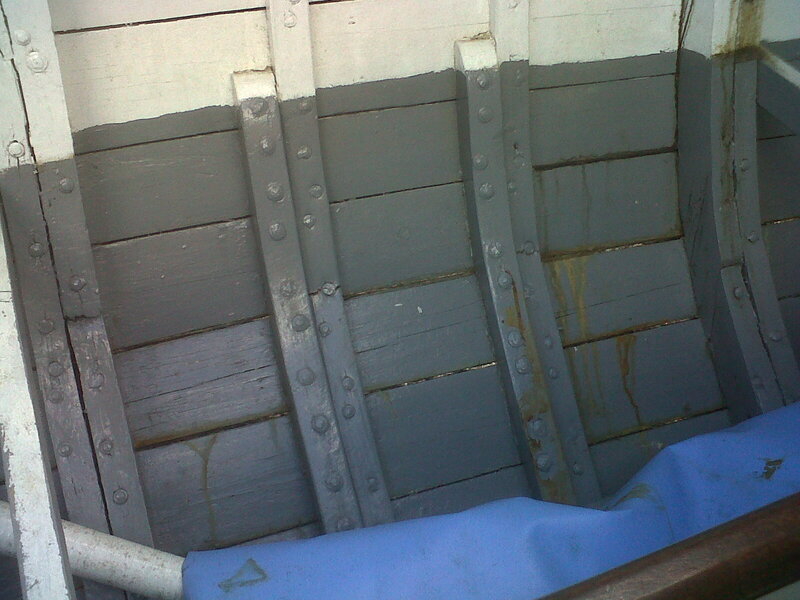 As last year we were fighting a losing battle with the leaks on the cabin sides and the deck joint. 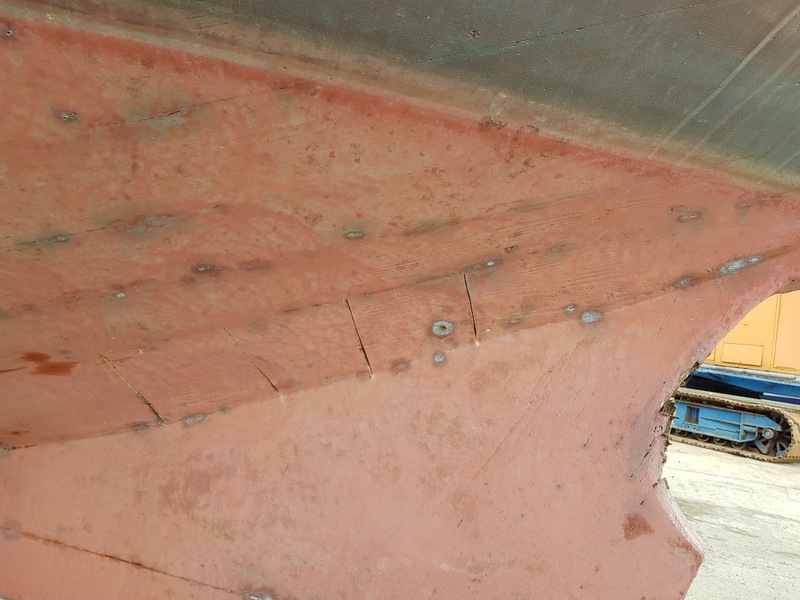 75 years of hard sailing and poor maintenance had taken its toll and it was time to call it a day. 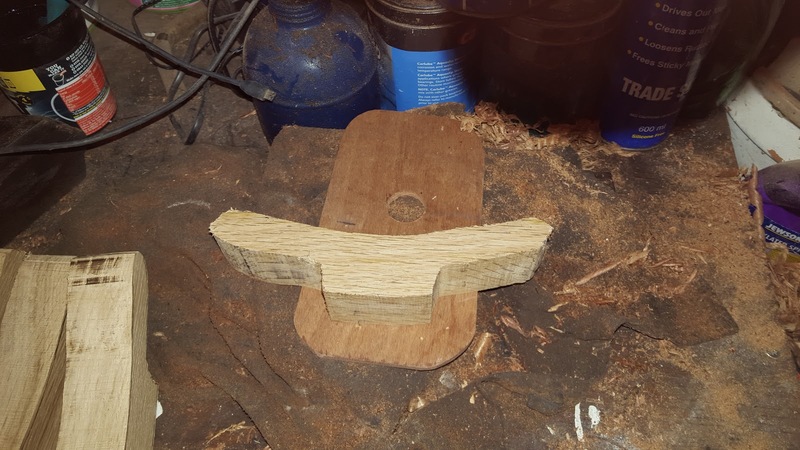 Then bite the bullet and make new cabin sides and roof. The job of taking the roof off was easy just get a big saw and cut sections out one at a time. 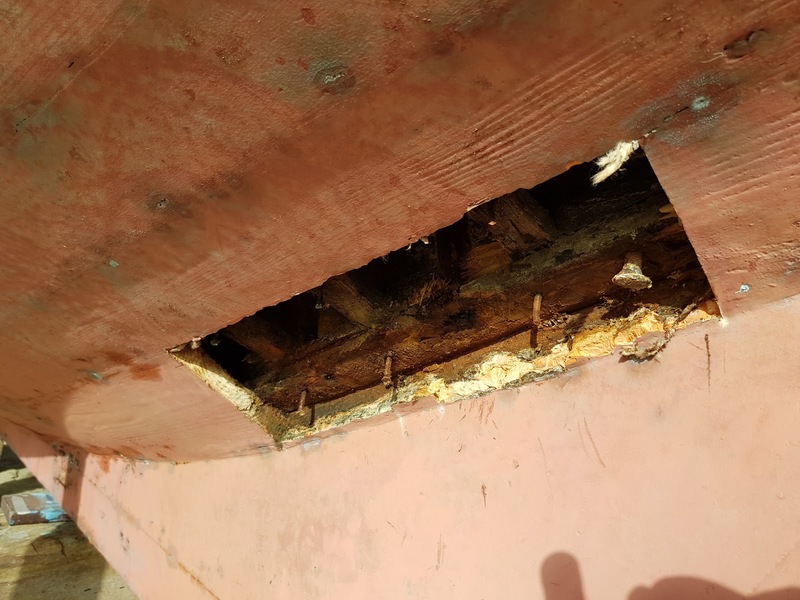 The cabin sides were a different matter with blind screws in some places and broken screws in others. some bits came out easily and other just would move. So out came the big hammer and the battle of wills started and a number of cups of coffee later they were off, but not in one pieces, but two or three bits. That was ok, I just had to fix them together once I was back at the workshop. 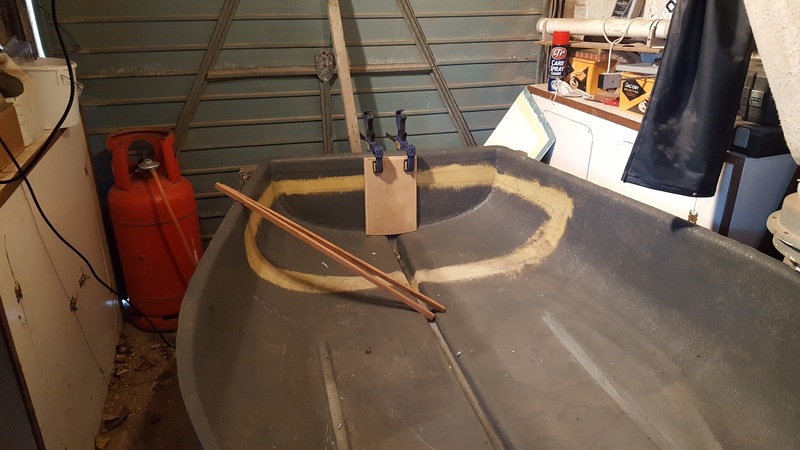 The next job now is to clean up the deck and sort out the deck beams and carlins and the go to the timber merchants and get the new wood for the cabin sides. 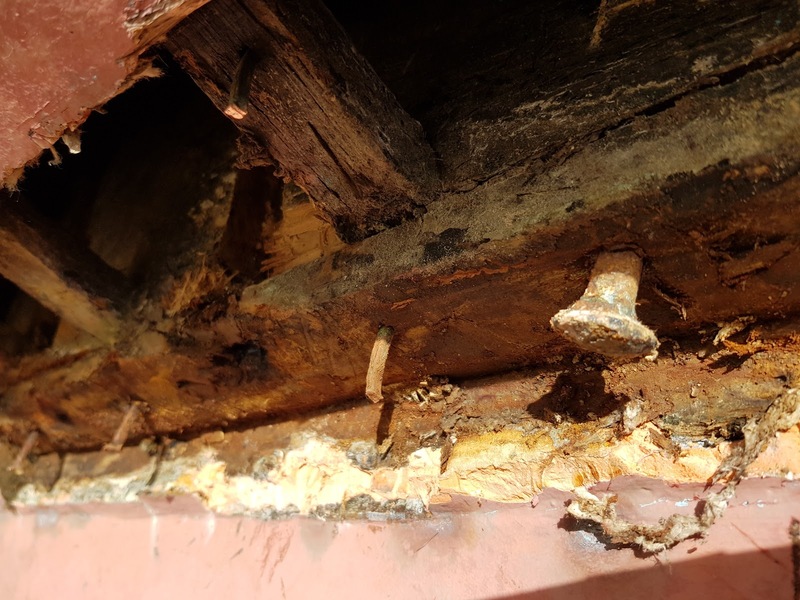 One good thing in all this destruction was that I was able to save the deck beams as there was no rot or any other problem with them. 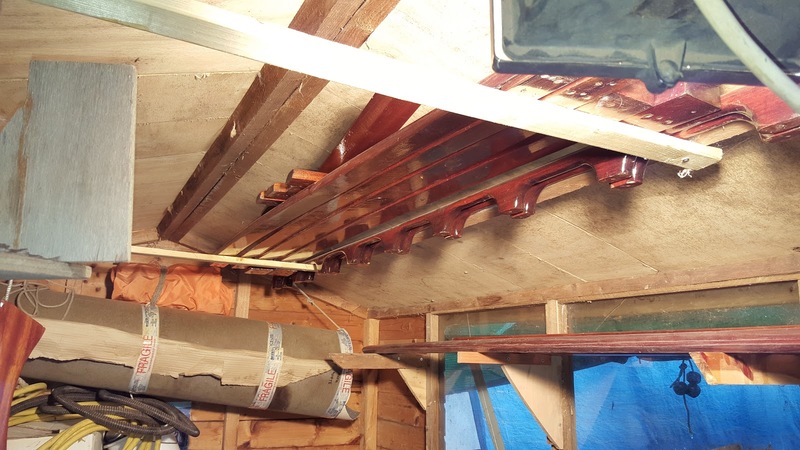 So at least part of the old roof and cabin sides will live on in the new one.